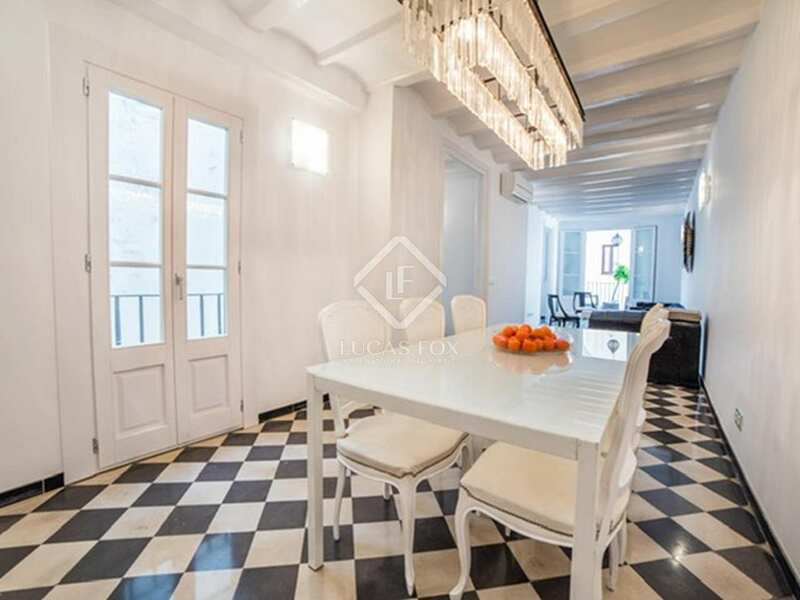 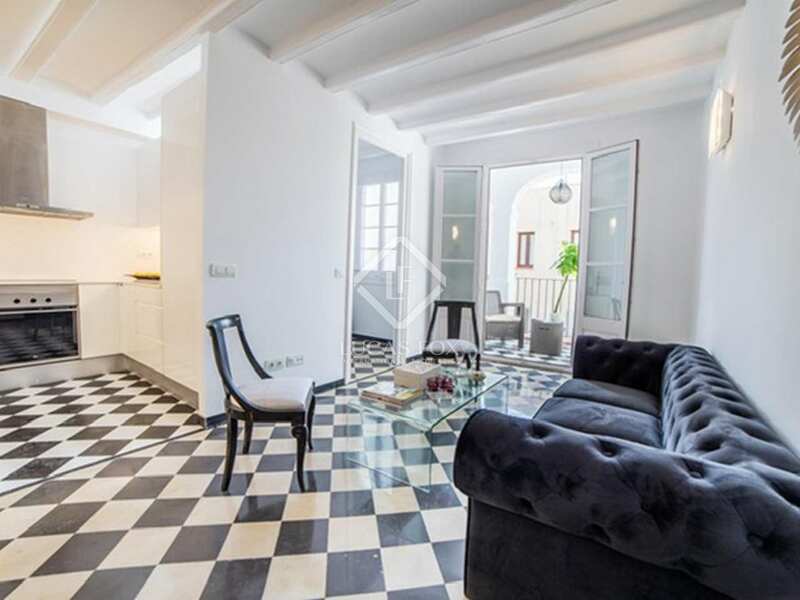 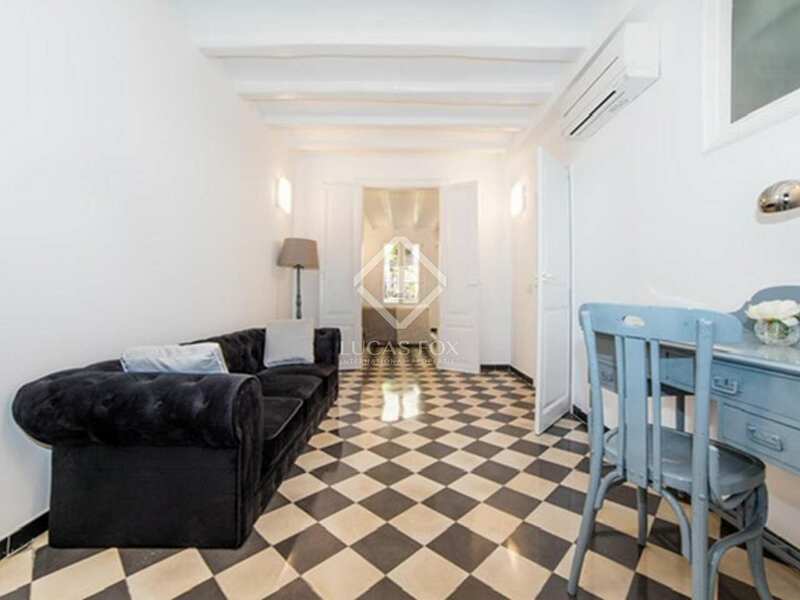 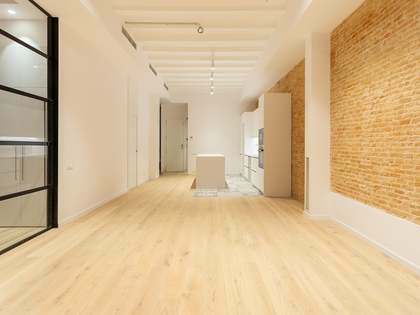 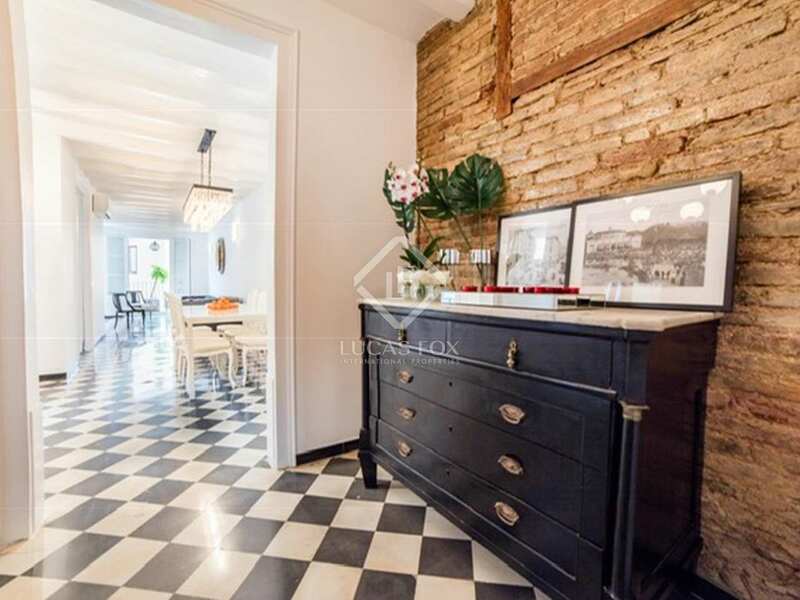 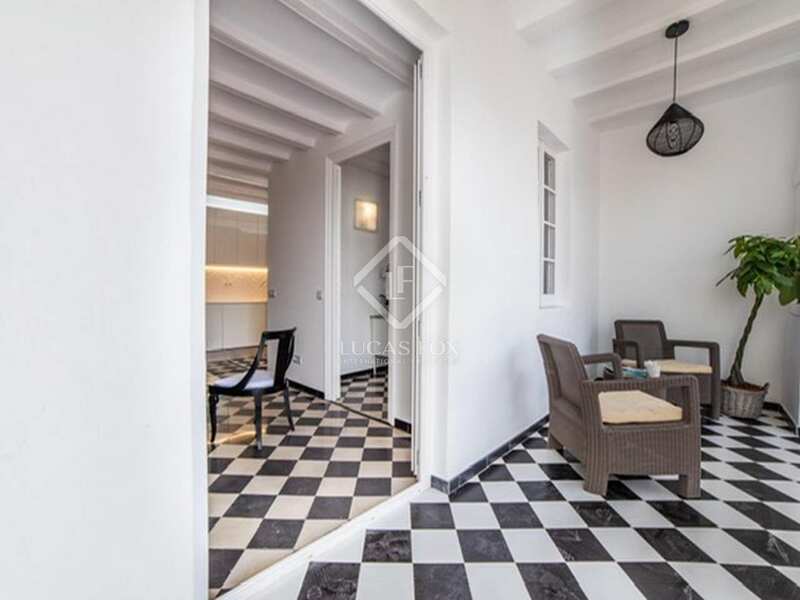 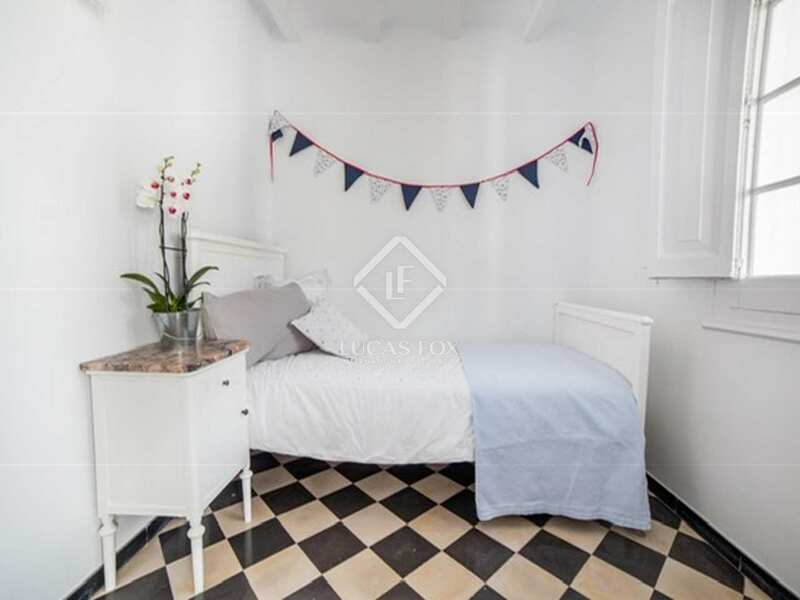 Apartment with high ceilings, mosaic floors and a terrace in the historic centre of Barcelona. 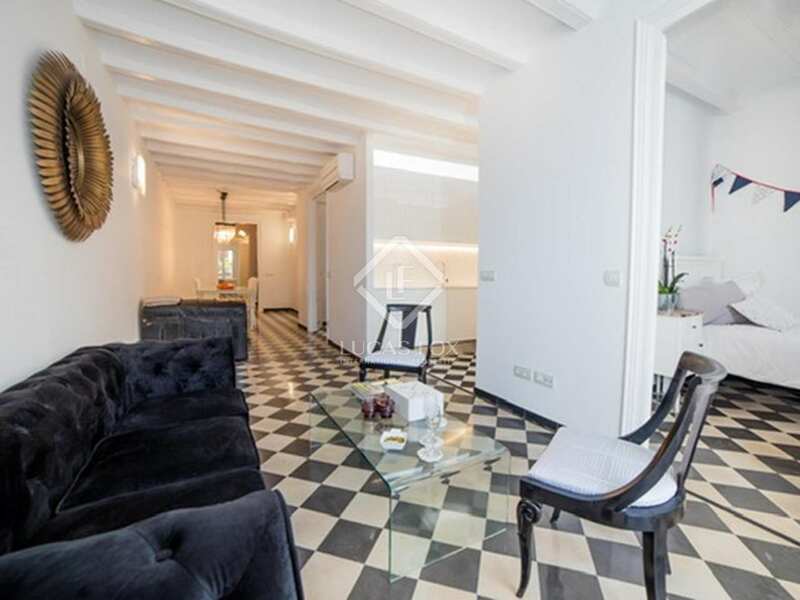 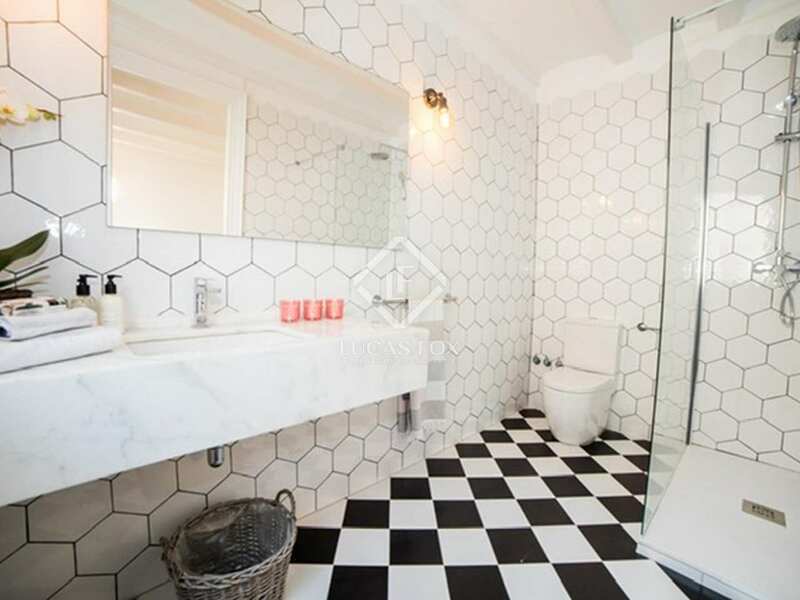 This magnificent apartment that enjoys high ceilings and beautiful mosaic and marble floors is located on the top floor of a period building without a lift, although there is the possibility of installing one. 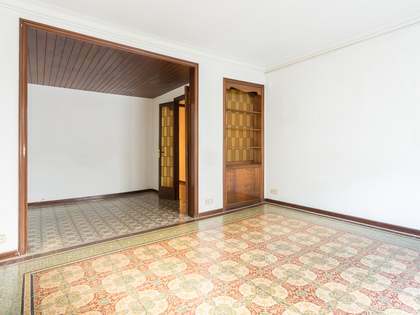 Upon entering, we are welcomed by a hall with high ceilings and a central stone wall that separates the 2 areas of the home. 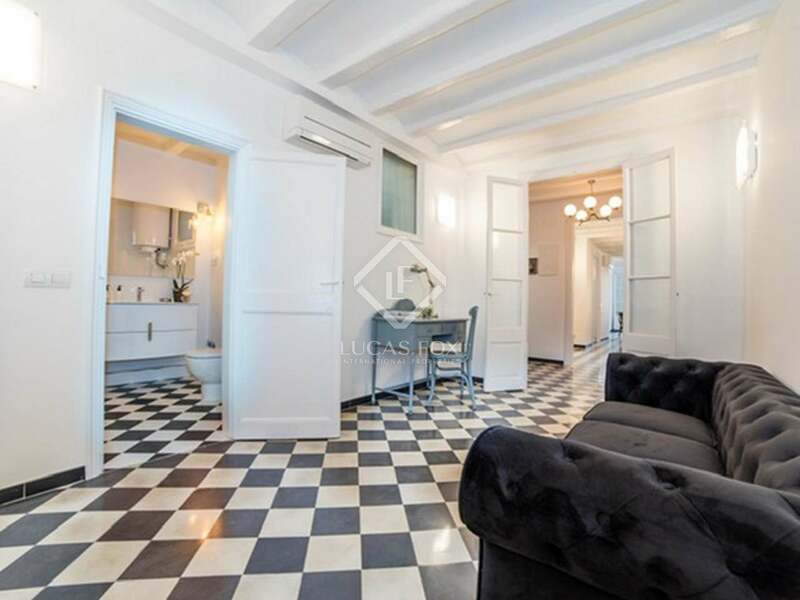 To the right, we find a spacious passage room converted into an office that gives access to a large bathroom and the master bedroom. 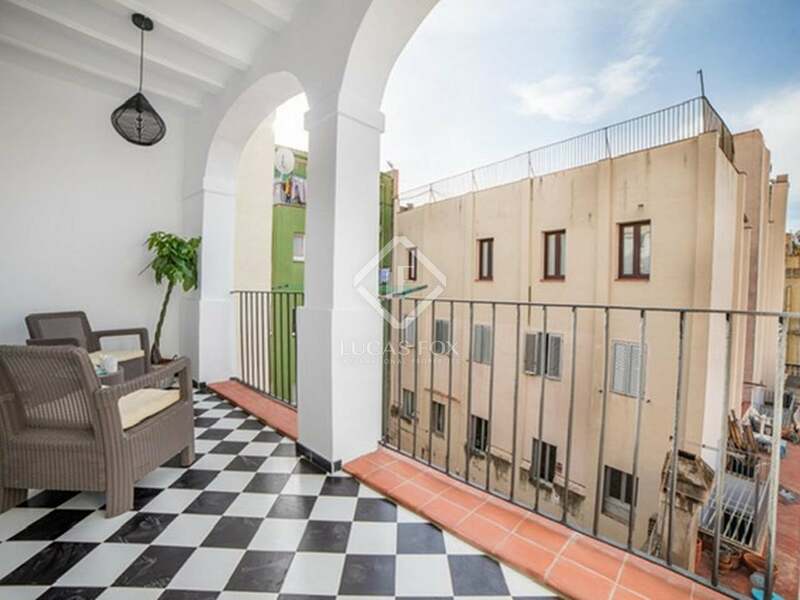 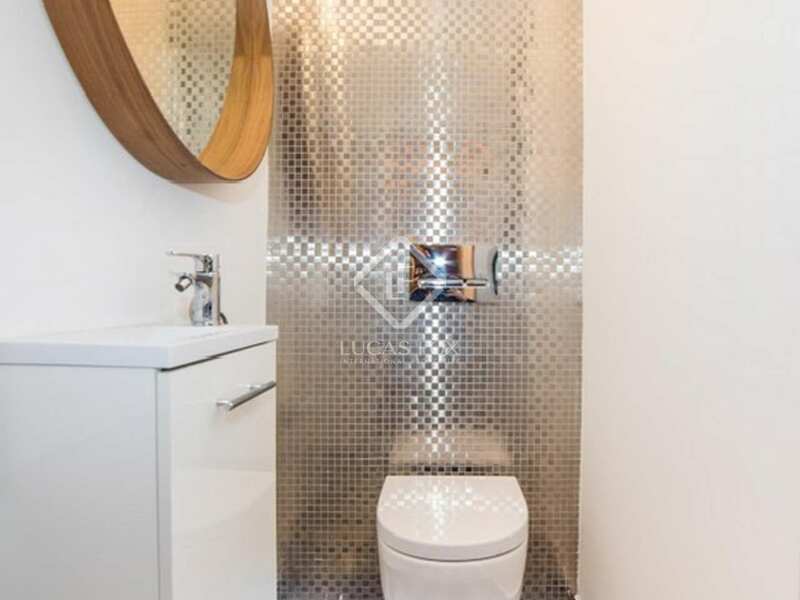 This has a dressing room, a large and sunny bathroom and has access to a small balcony that floods the room with natural light. 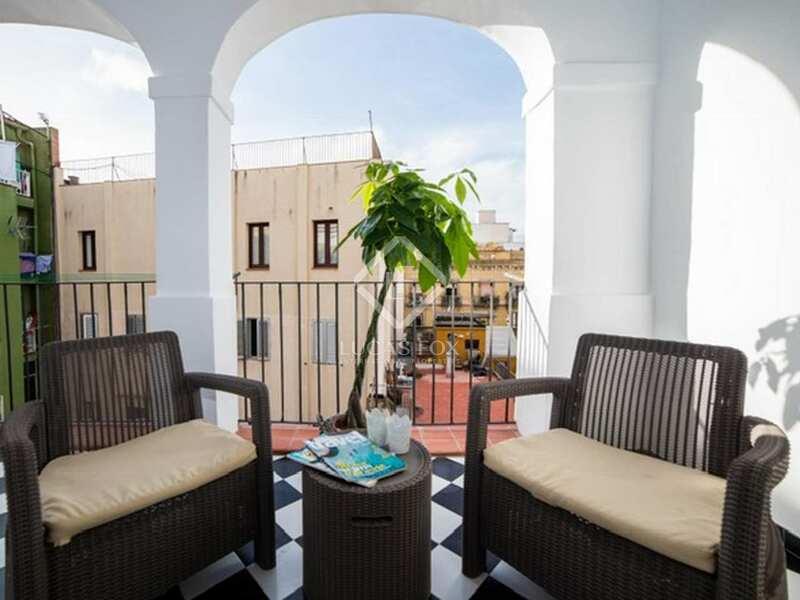 The left area of ​​the apartment offers a guest toilet and an impressive living-dining room with access to a terrace of more than 15 m², an ideal place to put a table with chairs and relax after a long day. 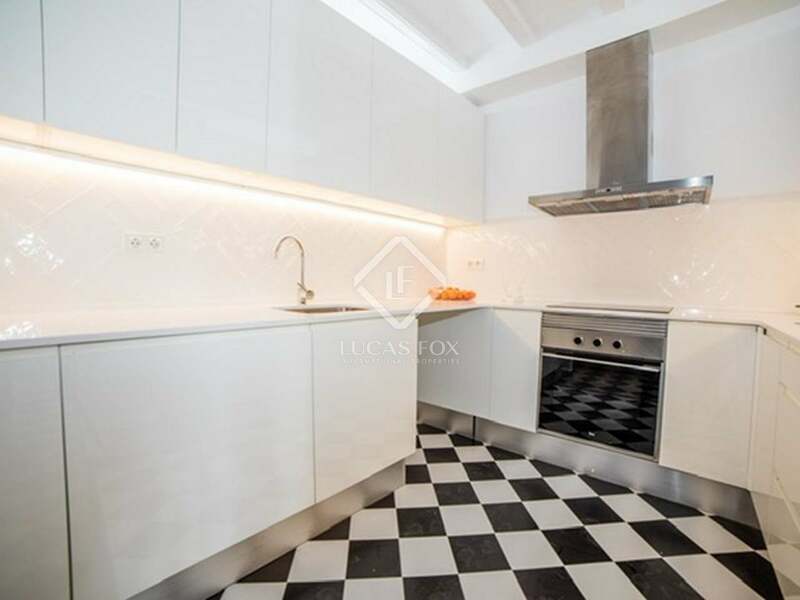 From the living room there is also access to a sunny double bedroom and next to it is the modern equipped kitchen with a large number of cupboards. 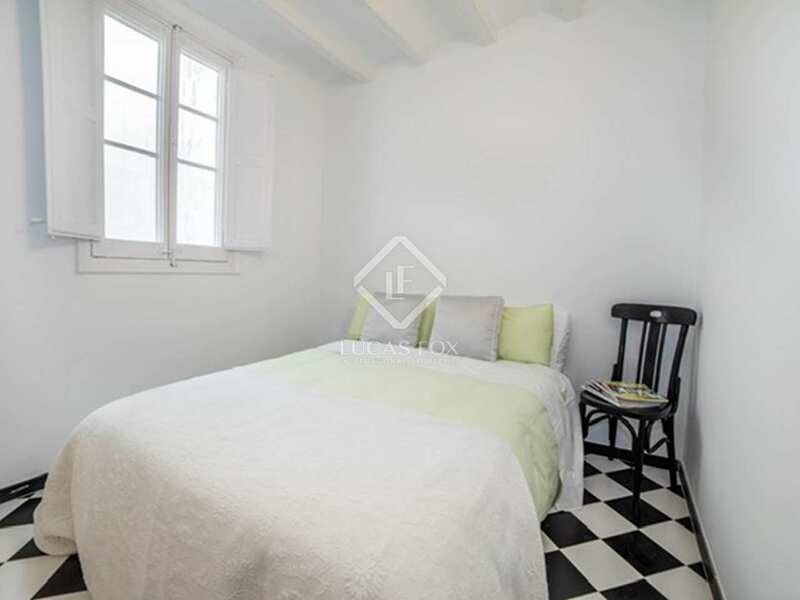 A large single bedroom with window to the terrace completes the apartment. 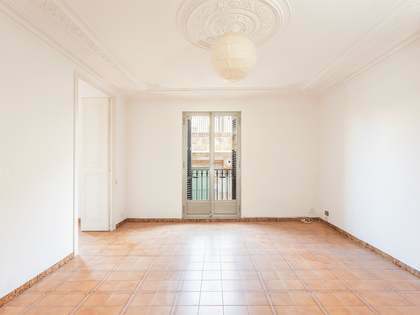 The house has an air conditioning system, heating and double glazed windows to ensure your comfort at any time of the year. 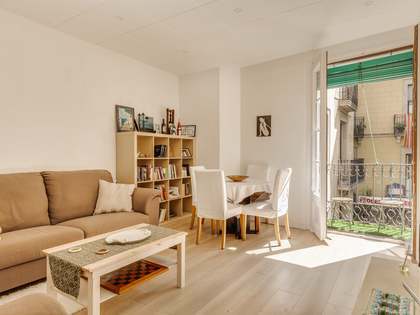 Do not hesitate to contact us to visit this magnificent apartment in the historic centre of Barcelona. 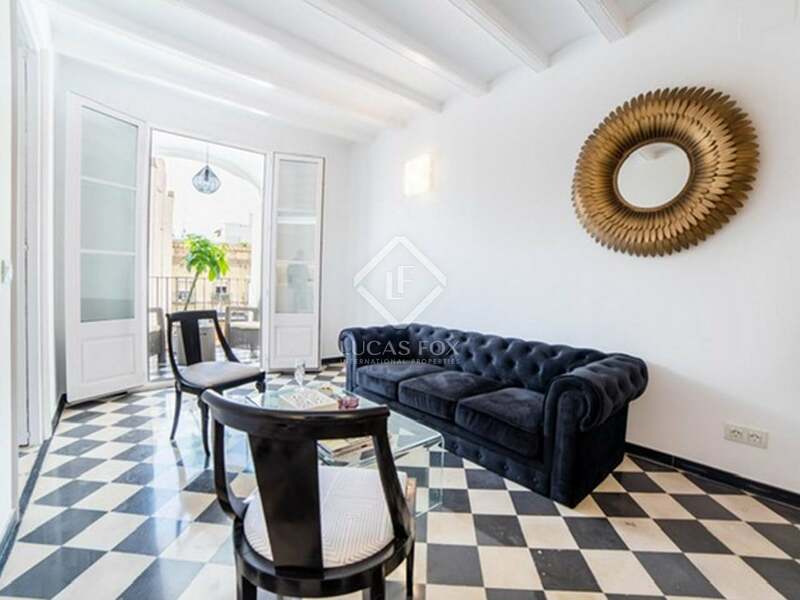 The property is located in the Gothic area, one of the most emblematic neighbourhoods of the city, where you can enjoy long walks admiring its beautiful streets and old buildings with all of their historic charm. 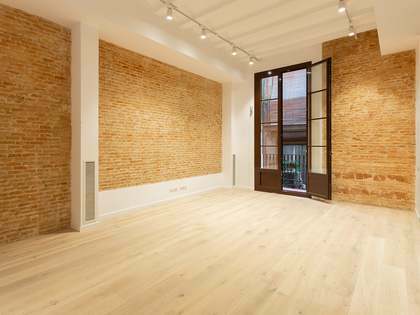 It is right next to Paseo Colón, Las Ramblas and Duc Medinacelli Square, where Soho House Barcelona has just opened. This area enjoys excellent connection with the rest of the city by public transport.